ARE YOU GETTING MY TEXT MESSAGES? The Islip Middle School Show Choir is an extra-curricular club which emphasizes the study of quality choral music of all genres. Show Choir meets once a week to work on literature and good vocal technique. Show Choir is open to all students in grades 6-8 who are also in Chorus. in the Middle School Chorus Room. Here is another video of Canto! I completely understand if you are sick or something else comes up and you need to miss rehearsal every once in a while. 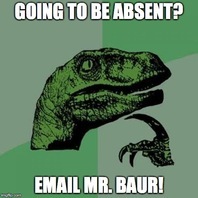 If you are going to be absent, please send me an email. What music are we learning? Here are some sample recordings and pdfs of the sheet music that we are learning. Please take some time to listen to the recordings carefully and become familiar with them.